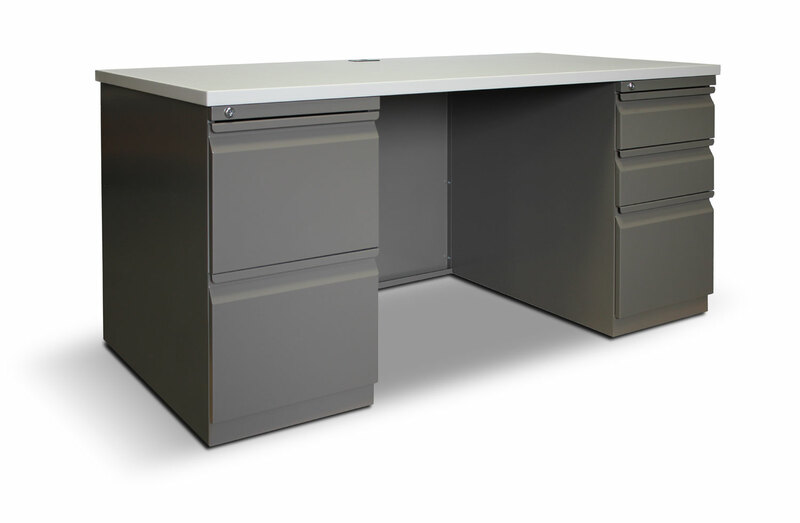 Cube desks from Invincible Furniture. 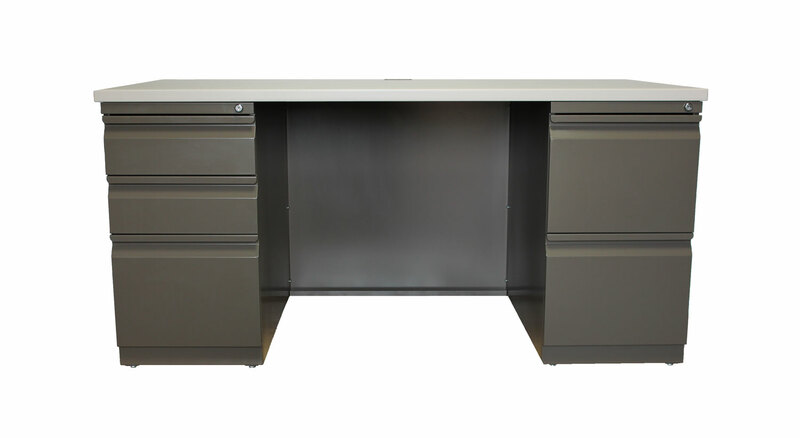 All Cube product ships fully assembled. May be ordered as a single desk or as a complete “L” or “U” unit with options including bridges and credenzas (and Vista shelves and hutches). 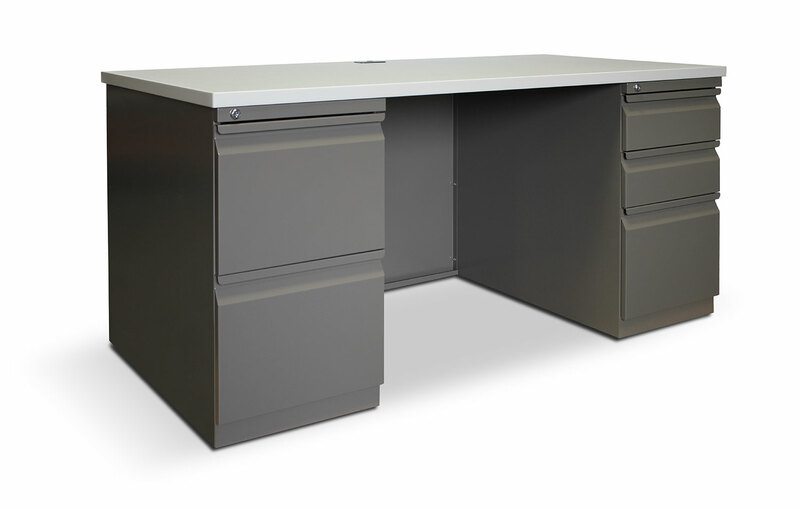 Back panels available in Full height, 3/4 height and Open Access (X Back). 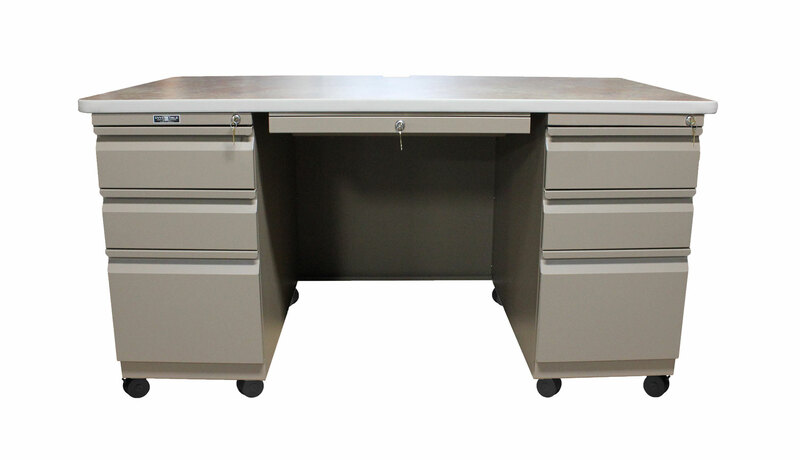 All pedestals are full pedestals. End panel and legs have non-corrosive adjustable floor glides. 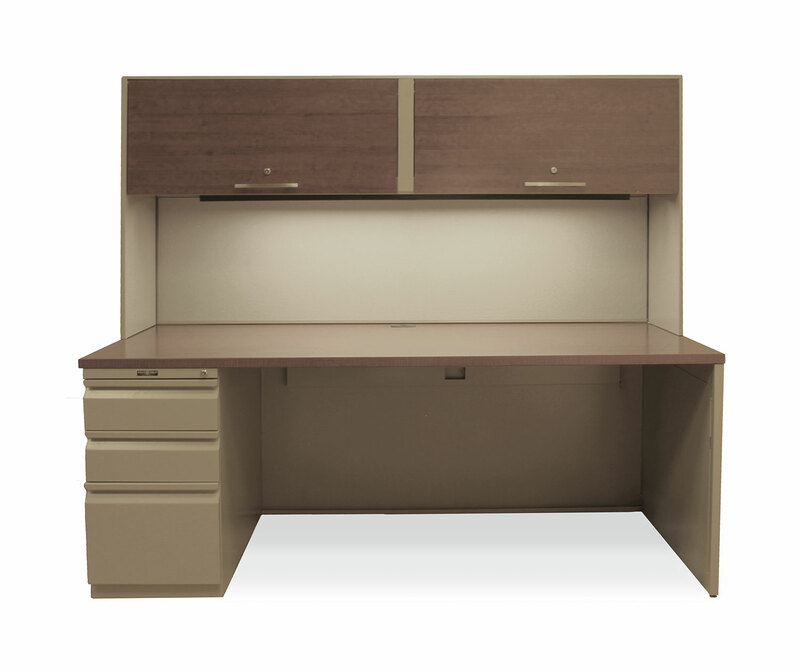 Optional non-locking center drawer operates on ball bearing suspensions. Box/File pedestal units contain their own lock. 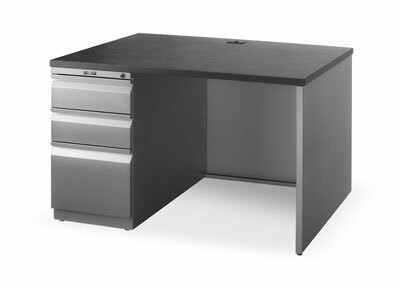 All pedestals letter width. Box drawers contain one adjustable steel divider. Additional dividers available. 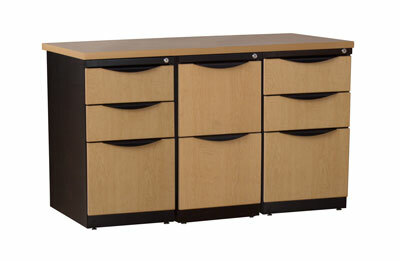 File drawers feature high sides for hanging folders. 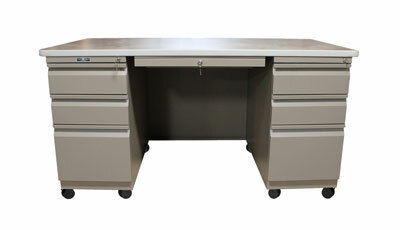 File drawer bottoms are equipped to accept optional compressor with quick release lever. 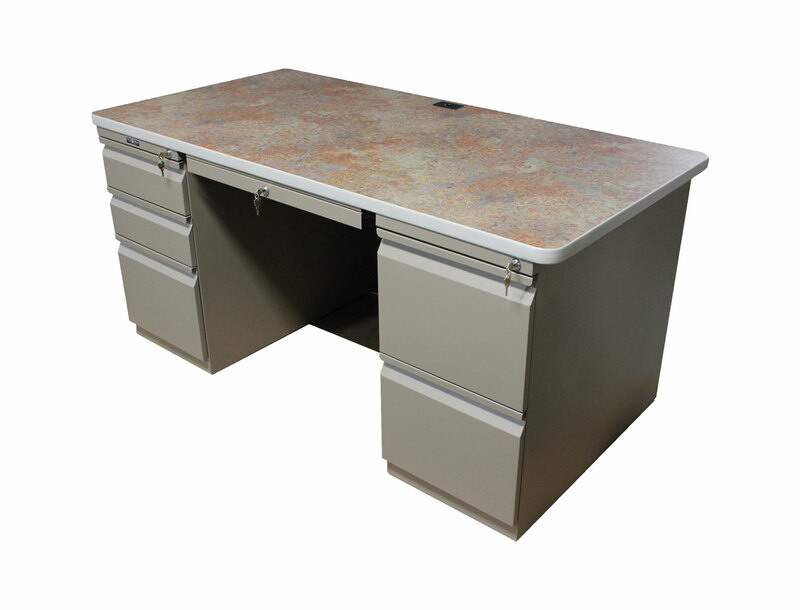 Worksurfaces feature 1-1/4" thick HPL high density wood core with PVC edge banding. 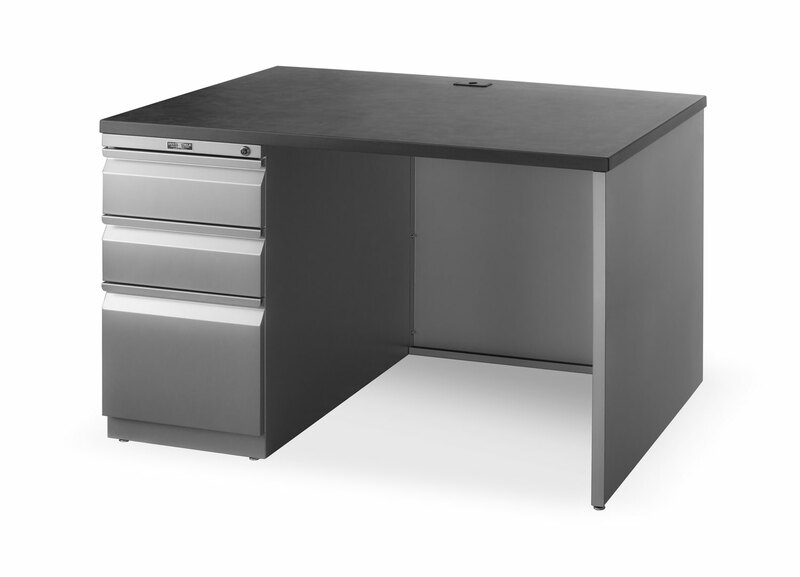 Grommets included on desks; no grommets on returns, bridges or credenzas. 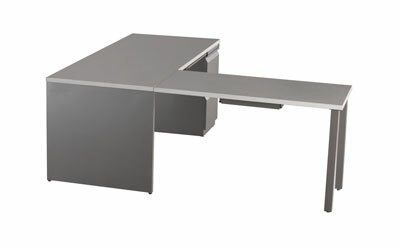 Vista hutches and shelves may be used in conjunction with Cube product. Available in all 43 standard paint colors and any WilsonArt laminate! 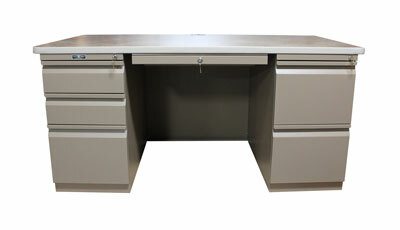 Double Pedestal desks available in 72", 66" and 60" widths. 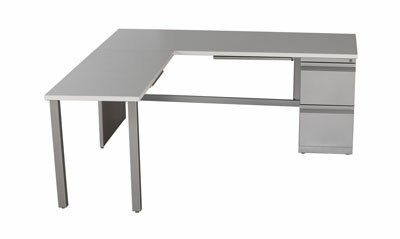 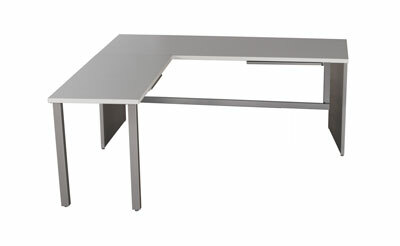 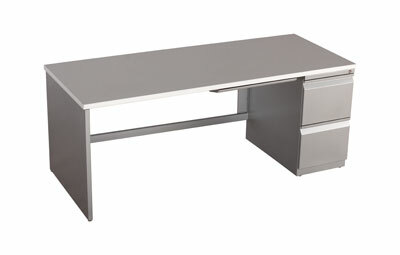 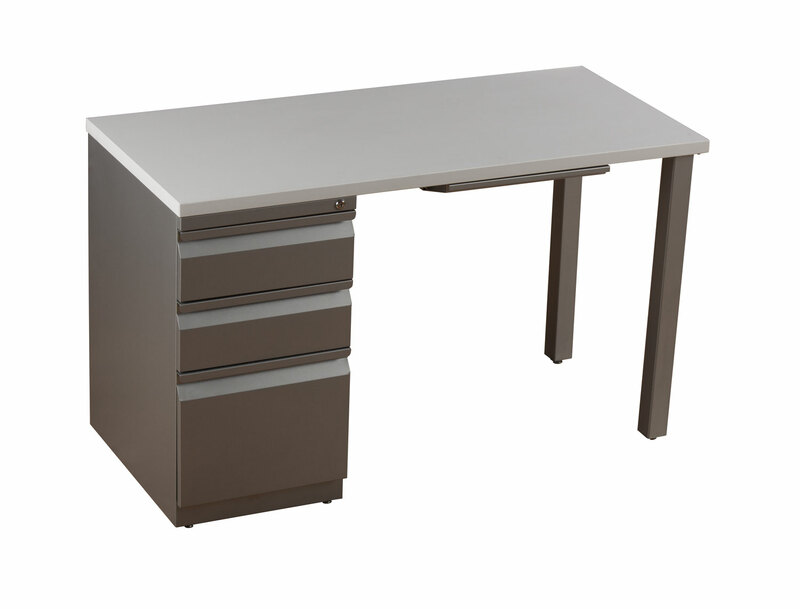 Single Pedestal Desks available in 72", 66", 60", 48" and 45" widths. 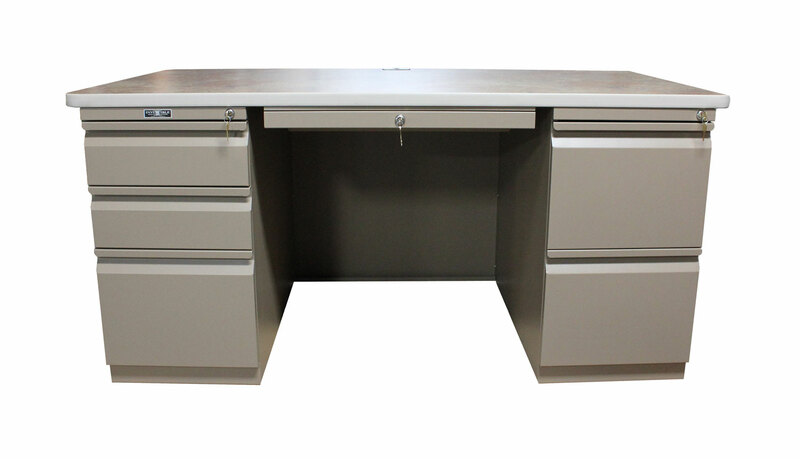 Returns with pedestals available in 45" W x 22-1/2" D x 29" H and 48" W x 24" D a 29" High. Returns without pedestals available in 45" W x 22-1/2" D x 29" H and 48” W x 24” D x 29” H.
Classic Cube Double Pedestal Credenzas available in 72", 66" and 60" widths (all 24" depths). 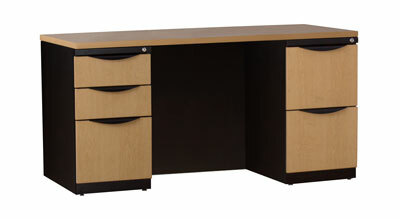 Classic Cube Single Pedestal Credenzas available in 72", 66" and 60" widths (all 24" depths). Classic Cube Bridges available in 36", 42" and 48" widths and 22-1/2" and 24" depths.